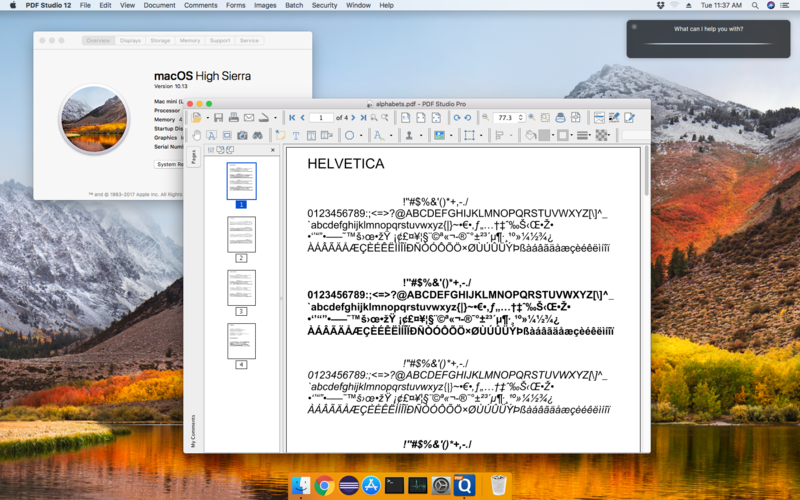 Q: Does PDF Studio, Qoppa’s PDF creation and editing application, work on macOS High Sierra? A: Yes, PDF Studio is fully compatible with macOS High Sierra. We have tested PDF Studio on macOS High Sierra (version 10.13) and were able to confirm that our PDF editing software works properly on the new OS. Note: Non-English users see Menu items not showing on macOS High Sierra.